The weeks just roll by, don't they! 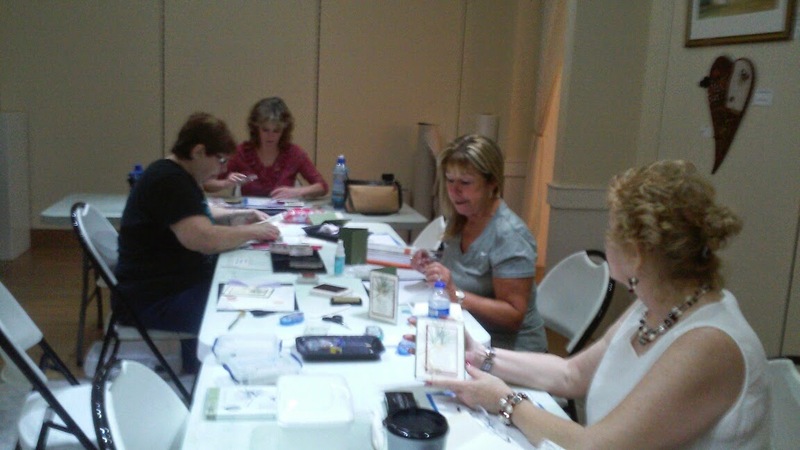 I love my time with my stamping groups! They truly bring me happiness and motivation to create!! 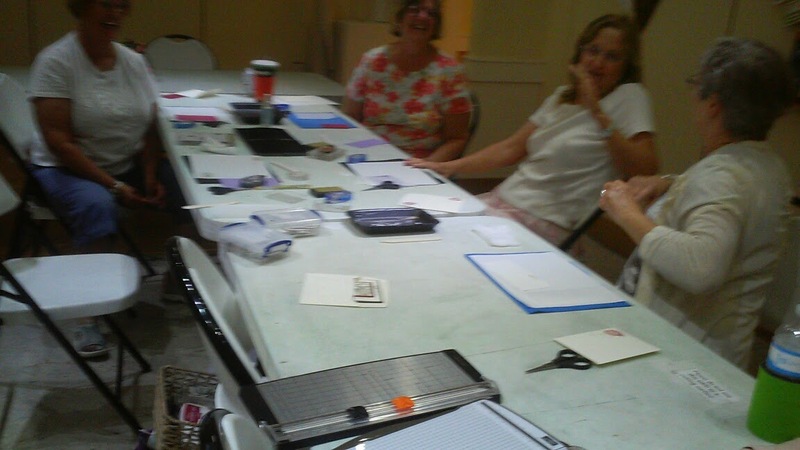 Here are this past Monday's cards at the Art Gallery of Viera. 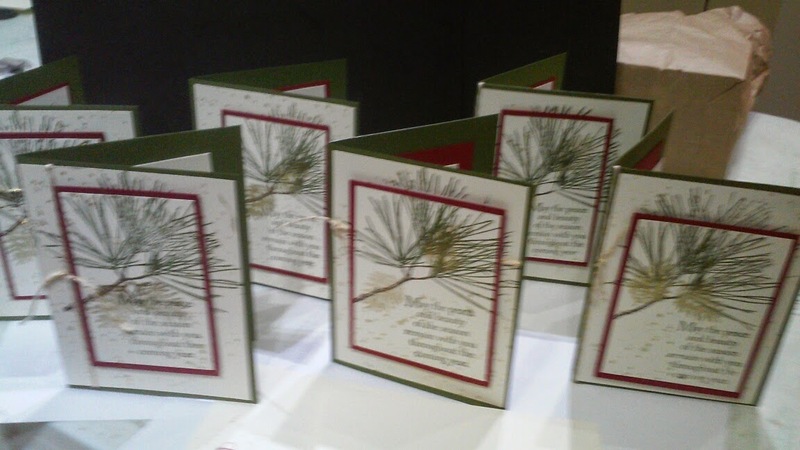 I cased the basic idea from Dawn Olchefske for the Ornamental Pine card. I, however, chose the background frame and gold ink highlights for our "snow" and pinecones. I love these clear crisp stamps! 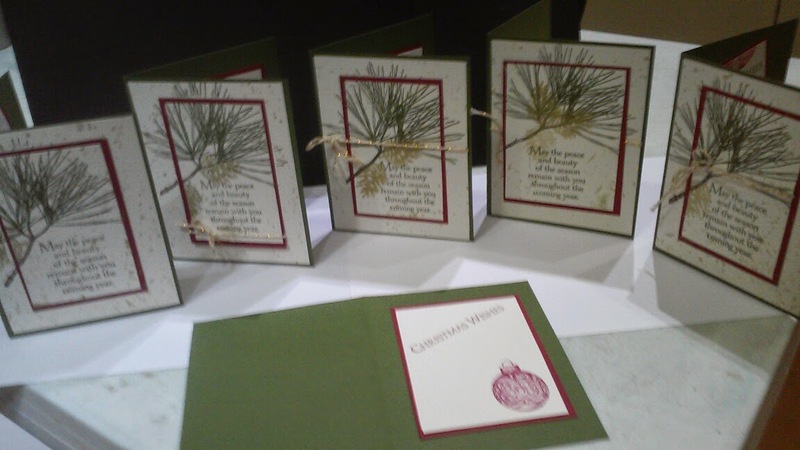 The beautiful ornament stamp inside, along with the "Christmas Wishes" were the finishing touches for the card. So many wonderful choices for pretty envelopes too!! Oh yes! There is always fun, fun, fun!! This card is really simple! I love the golden "shadows". 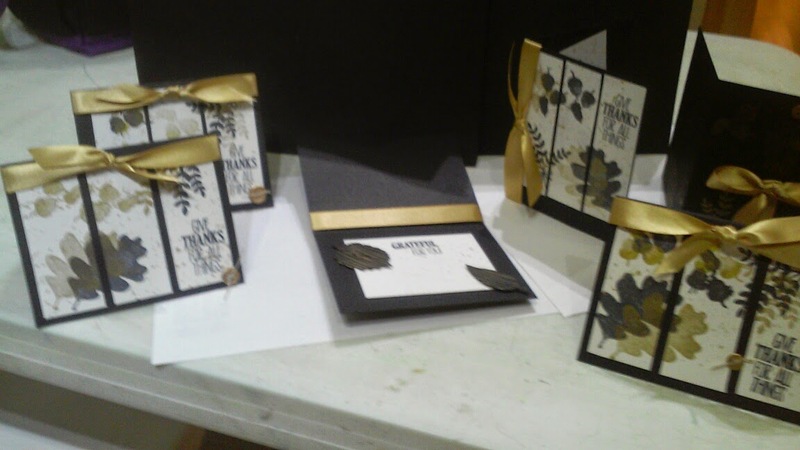 This is such a pretty effect, achieved by cutting our 4 1/2" Very Vanilla cardstock into 3-- 1 1/2" sections. Thank you so much for the Labor Day fun, ladies! !